There’s something about fresh, bright lemon juice and good, fruity olive oil that makes a salad just about sing out loud. This little lemon vinaigrette recipe is one of the easiest and best vinaigrettes in my book, Dinnertime Survival. Try it; you’ll like it. I promise. A whole lemon yields 2 to 3 tablespoons of juice and sometimes more if the lemon is heavy with juice and on the large side. Look for fruit with thin skin and that feels weighty with juice. Before you cut one open, roll it on the counter with just a little bit of pressure from your hand to get the juices running. Lemons are one of those grocery items I buy just about every time I go to the market. 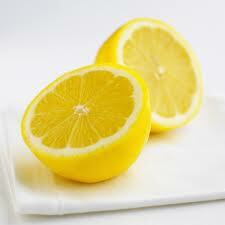 In a small bowl, whisk together the lemon juice and salt until the salt dissolves. Slowly add the oil to emulsify the vinaigrette. Season with pepper and serve. If not using right away, cover and refrigerate for up to 1 week. Shake or whisk well before using.